Quality of life is widely used term nowadays. 70 million or roughly 1% of the world population is suffering life-threatening disease without any hope. How to enhance the quality of their lives? Spiritual help can only help. As concerns on longevity augment especially in the last one decade, it is evident that both private individuals and professionals are giving more importance to their quality of life than length of their lives. It is desirable to live long however it also deeply matters how the life has been lived. Such an insight is best understood when analysis on how people with the chronic disease live. 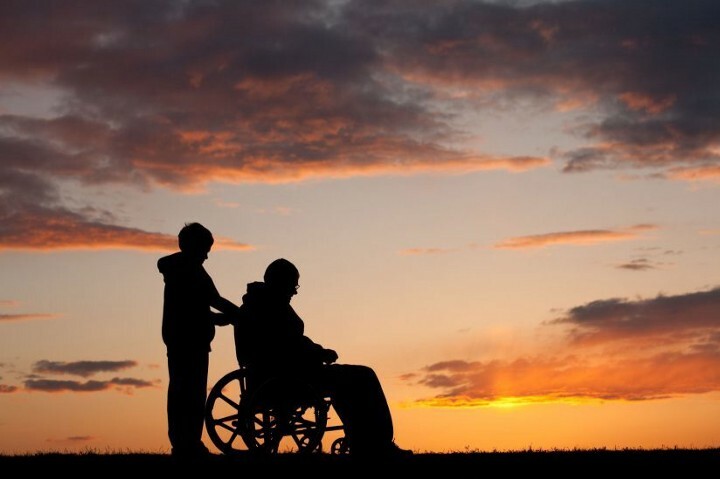 Approximately 133 million Americans are estimated to have some form of incurable and ongoing chronic diseases according to Center for disease control and prevention .About 223 thousand American are terminally ill according to the Economist Such groups of individuals are subjected to Palliative care as the only hope for their lives. I will focus on the people who need the Palliative care. According to OECD, financial security, job satisfaction, family life, health, education, social relation, and housing are vital factors in improving the quality of life. Love, sexual life, and quality food compliment the list. Wealth can improve standard of life but unable to guarantee a better quality of life notably in incurable disease cases. As the number of people suffering from chronic diseases keeps amplifying, the concept “quality of life (QOL)” should be more affiliated with the state of illness rather than other factors. In addition to Center for disease control and prevention ’s consideration of health as one of the important human domains, it considers other domains like jobs as equally important. I argue that health should be the most important domain and not just one of the domains. Chronic illness should be identified as the single most detrimental barrier to improving quality of life. There have been innumerable suggestions how to improve QOL. But all suggestions are in vain if you have a painful chronic disease as negative features in life dominate all positive features. No conventional way for improving QOL works for chronic sick people. I used to work as Health Coordinator at social welfare department of Denmark. My primary task was to improve the living conditions of inhabitants of nursing homes in coordination with health professionals. Most of the inhabitants were chronically ailed and a significant number of them had life-threatening diseases. I followed reports prepared by health professionals on chronically challenged individuals who were living in nursing homes. Reports described how patients were coping with their different health conditions. Some could somewhat accept their conditions, and some found it exceedingly difficult to do so. Those who could accept their chronic condition and were willing to live with it were doing relatively better and those who could not and as a consequence, they suffered more depression. Patients with cardiovascular diseases and cancer received special care which is similar to palliative care. WHO describes palliative care as care provided by a team consisting of physicians, psychologists, and life coach. An element of palliative care is spiritual counseling which is widely scientifically accepted. In reports, the medical team recommends enhancing spirituality for those patients. I noticed those individuals who fixed mindset with their situations and believe in the Higher power were doing better. No doubt that patients need spirituality to live with the fact that they cannot escape from the disease hence they must learn to co-exist with the sickness in the rest of their lives in the best possible ways. Living a life dominated by chronic diseases limits freedom. To cope with chronic disease situation, it is obvious that the individuals reshape their lives. It is not possible to cure chronic illness but spirituality improves mental health and well-being and thus helps to improve QOL. Therefore, chronic disease patients are compelled to adjust towards a more spiritual life even if they hated it. Research findings show that spirituality and religion enhance the quality of life since they contribute to more life satisfaction, happiness, positive affect, and optimism. People living with chronic illness have identified spirituality as a means to promoting QOL. Spirituality influences all areas of life and helps people to appreciate and live with their current situation. It is documented that chronic patients are happier when they practice religion or spirituality. No need to mention, medical interventions, healthy food, and physical training stabilize the state of health, but spiritual motivation is necessary to improve quality of life. Which form of spirituality is useful in this case? People with chronic illness need spiritual mindset in order to uphold the quality of life. Therapists and patients will tell you that. In this situation, a positive mindset is the best tool for improving mood and positive thoughts. This can develop some optimism even in the worst situation. Mindset helps to prevent negative thoughts from overtaking the spirit. It is worth finding some positive elements in life even if they are petite. Such positive elements can take the form of some achievements in the past, family, and positive social relations. Focusing on such positivism grants hope in the worst situations and creating some humor in times of distress. Mindset should be set in a manner that is success-oriented albeit the prevailing circumstances so as to guarantee that nothing, not even sickness, can change fate. Such limited positive elements are crucial in stabilizing the quality of life. I suggest prayer and meditation on regular basis as an intervention to achieving a better quality of life for the chronically challenged. Prayer and meditation will assist in developing spiritual power and communication with the Higher Being deemed to be a great source of hope and happiness. Whatever belief you have, concentrating your mind and focusing on yourself is necessary. The act of putting your confidence in the higher power that can understand personal pleas and grant mercy, joy, and happiness is vital in boosting such confidence in a chronic patient. Through prayer and meditation healing is achievable. This also grants some peace in the minds of the challenged even in the most hopeless situations. Many surveys have shown that spirituality in form of prayer and meditations has helped to enhance QOL in people who are terminally sick.